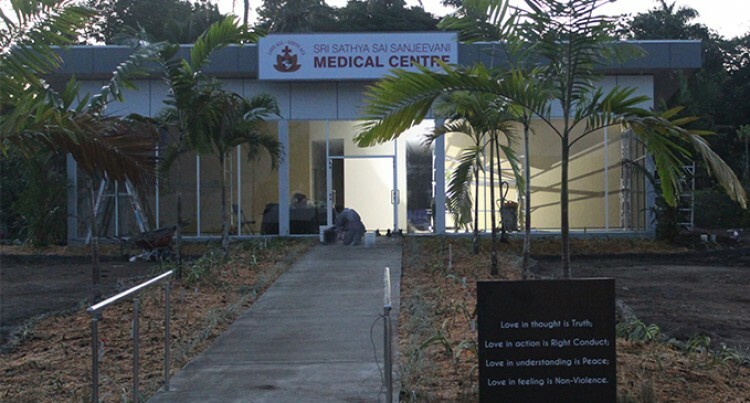 The newly built Sri Sathya Sai Sanjeevani Medical Centre at Muanikau in Suva. The centre is expected to open on April 27, 2018. Photo: Simone Haravanua. The inspiration of this Foundation is based on the principles of our spiritual leader and Guru Sai Baba, whose philosophy is to help the poor and needy, to love all and serve all. These were the words of Sai Prema Foundation Fiji medical co-ordinator Dr Krupali Tappoo. Founded in 2016, Dr Tappoo said so far the foundation had achieved a lot in such a short time. “Our aim is to help the poor and needy in Fiji through Medicare, SocioCare and Educare initiatives,” she said. “We need to help our fellow mankind, and if we are not of service to others, this life we live is not fulfilling our duty to this mother earth and to the world. “It is easy for us to think about ourselves, to do our own work, to earn money and look after our family, but I think each one of us, there is some responsibility we have as well and if we are able to help anyone, that is a wonderful thing. “The philosophy is we want to help the people of Fiji, and we want to help those who are in need. Dr Tappoo said the Foundation was working on 10 community service projects and at the moment they were focusing in the Tailevu area, in assocition with the Ministry of Health and Medical Services. “If people are interested to become a volunteer, we are on Facebook and we are always happy to have more people come and help in whichever project they are interested in,” he said. Sai Prema Foundation Fiji is expected to open its medical centre along the Muanikau Road on April 27, 2018. The Foundation also has a disaster relief programme. Dr Tappoo said they would plan something shortly for the victims of the two recent cyclones and floods. You can also contact them on their Facebook page.